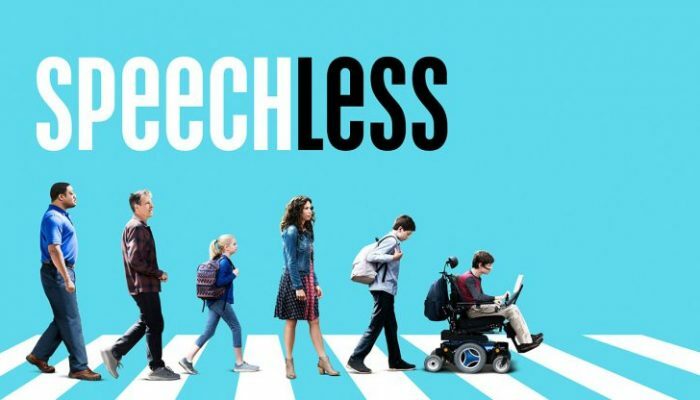 Season two of Speechless is on its way! I really enjoyed the first season of the show, which I reviewed here, and I will continue to review the show here in its second season. This article will list what I am hoping for in the second season of Speechless. The DiMeo family doesn't tend to do things the usual way, and sometimes they face really bad luck. But, they always make the most of what they have, and they always try to have a great time. That is one of the things that makes them so fun to spend a half-hour with each week, so hopefully season two will continue to see them navigating these sort of situations and being just a little bit odd. The first season's Halloween episode ended with the DiMeo family, in their themed costumes, trick-or-treating in the early morning hours. The episode revealed that each year they do a costume like this, which incorporates J.J's wheelchair, and for some reason always has Maya and Ray as a couple. I hope that in season two the show will do another one of these costumes for its Halloween episode. During its first season, Speechless spent most of its time being light and funny. However, there were a few times where it got serious and talked about serious concerns. I hope that this same balance continues in season two, and that the show, while still incorporating those serious moments into the show, stays focused on being fun and funny. We know a few things about Kenneth, but honestly not that much was revealed about him over the course of Speechless's first season. It wasn't until the 18th episode of the season that we learned of his job at the supermarket. Hopefully in the second season we will get to learn more about him. The second season of Speechless premieres Wednesday, September 27th at 8:30 on ABC. What are you hoping for in the second season of Speechless? Leave your thoughts in the comments!